1)Open visual studio command prompt(2010) form Visual studio 2010 ->visual studio tools. It will open as follows. 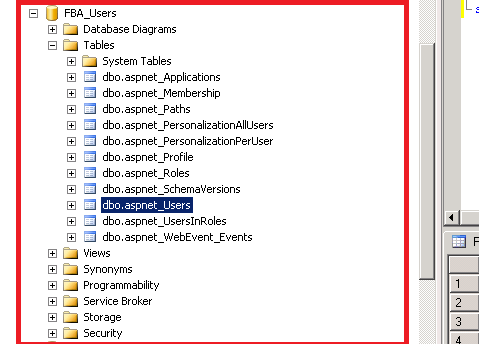 2) type aspnet_regsql in visual studio command prompt and press enter. 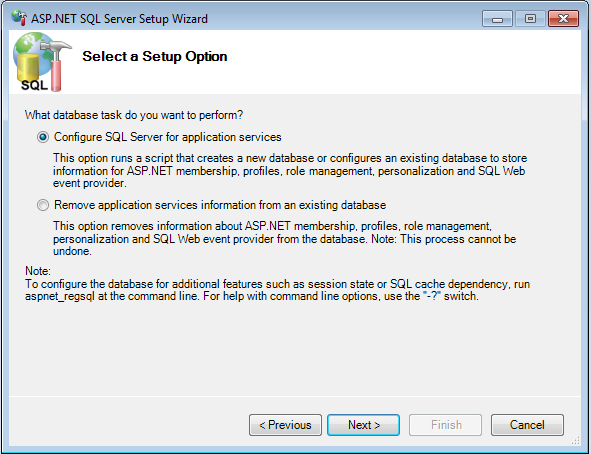 select configure sql application server for service radio button and click next. 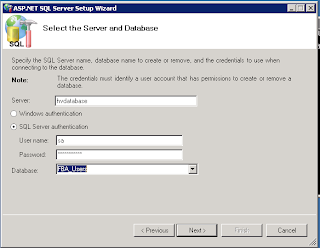 5) type the server name , username & password for sql server authentication , and select the database name in dropdown and click next. 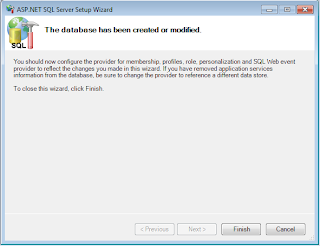 6) Click next and Click Finish to complete the setup wizard. 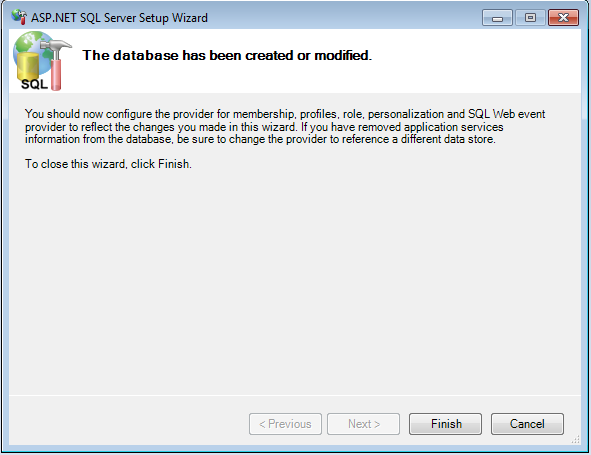 Database is created successfully. Now we need to add a user in to database. 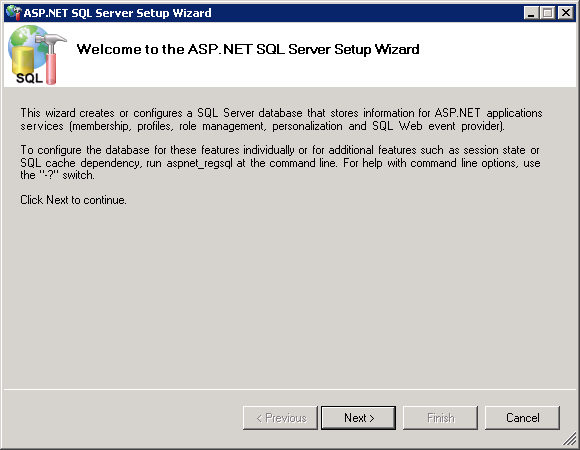 Using ASP.NET Configuration Wizard, users can be added the database. 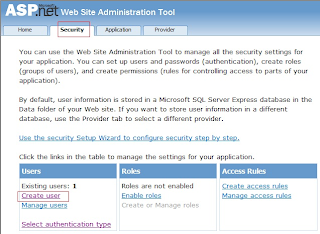 This can be achieved by creating web site that will allow us to add the users and roles and also ensure the database connection strings, membership and role providers are correctly configured before we bring SharePoint in to equation. 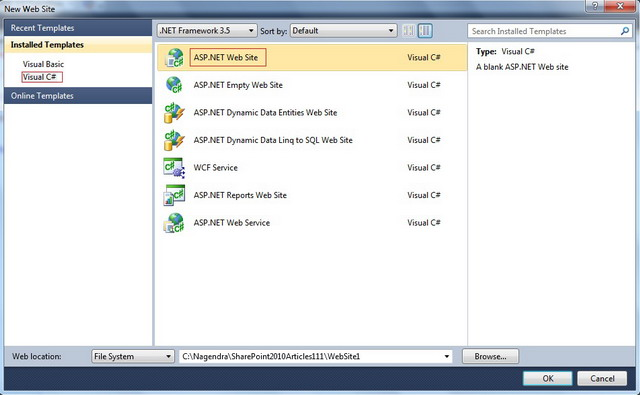 1) Open Visual Studio 2010 and select File -> New -> Web Site. 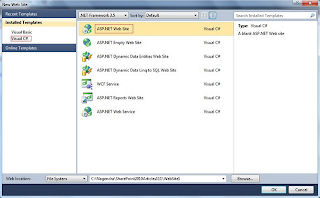 In the New Web Site dialog, select the ASP.Net Web Site template and enter the location to store the web site files. You can choose any location whichever is comfortable for you. 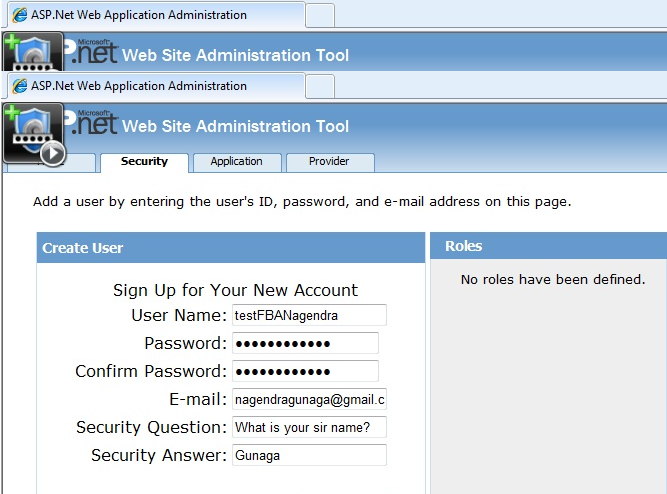 web.config file will be added to project automatically. 2) By default, you will see a <connectionStrings/> node within <configuration> node. 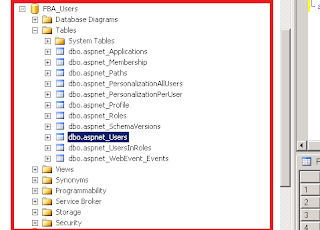 Specify the connection string to the database which has been created in the previous section. 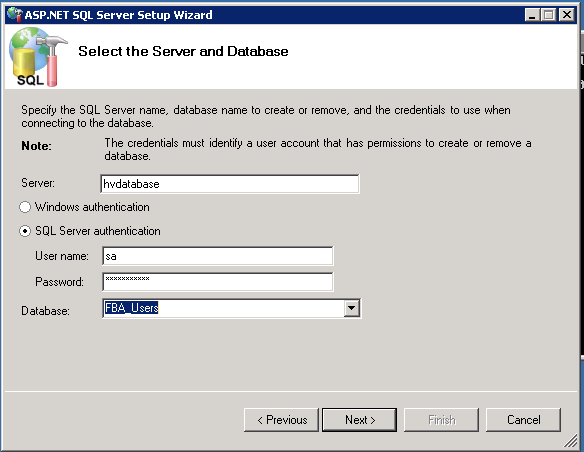 connectionString="Data Source=hvdatabase;Initial Catalog=FBA_Users;Persist Security Info=True;User ID=sa;Password=Hexacorp123;"
description="Stores and retrieves roles data from the local Microsoft SQL Server database"
Set the authentication type in the above wizard. 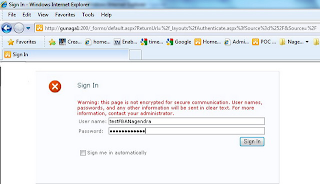 To do this, click Security link. 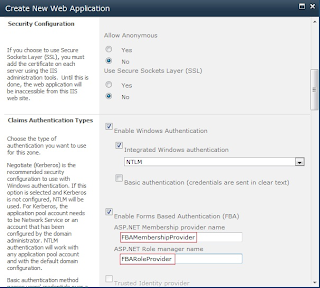 In the Security tab, under Users section, click Select authentication type link. Select From the internet option and press Done button which is available in the bottom right corner. 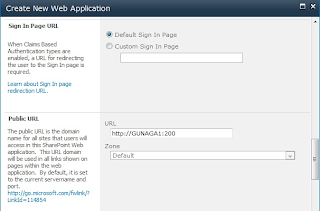 By selecting this option, which means that site will use form authentication to identify users. To test the membership and role providers, click on Provider tab. 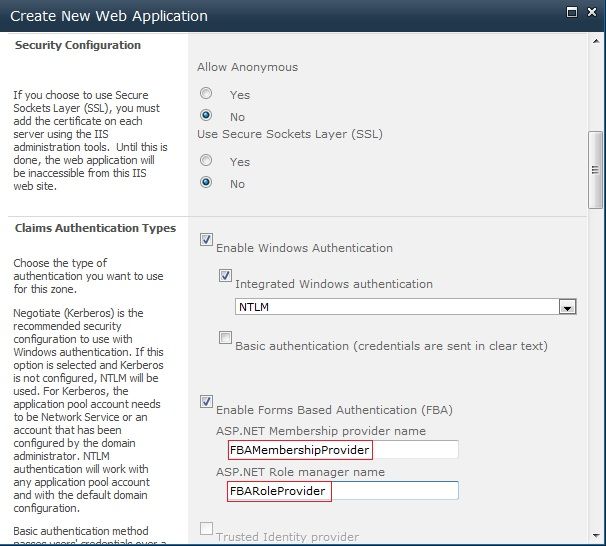 In the Provider tab, click on Select a different provider for each feature (advanced) link. 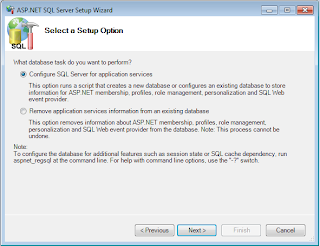 Select right / correct membership and role provider and click Test link to ensure that providers are communicating to right database. 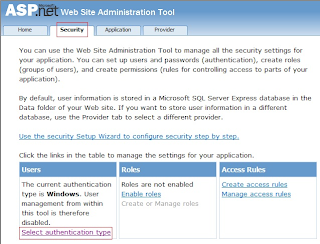 To add users, click on Security tab. 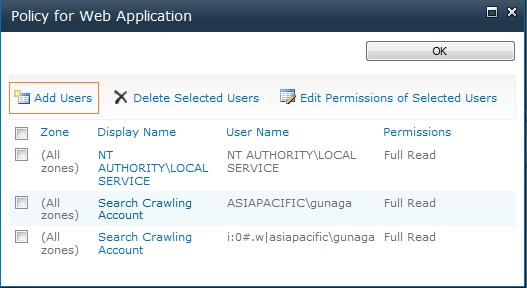 In Security tab, under Users section, click Create user link. 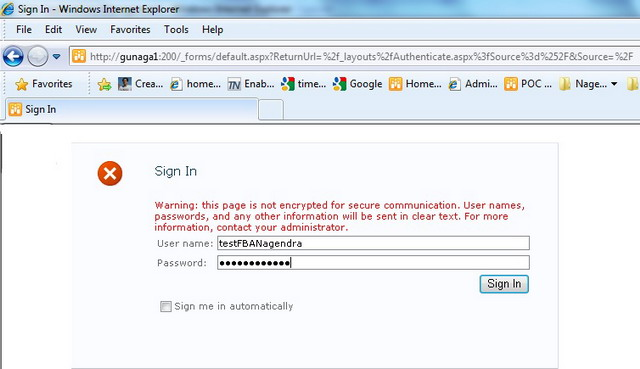 Here I am adding user as testFBA and password as password which will be used for testing form authentication later. 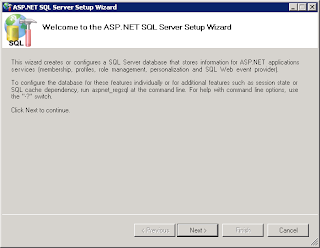 B) Steps to create web application and site collection. 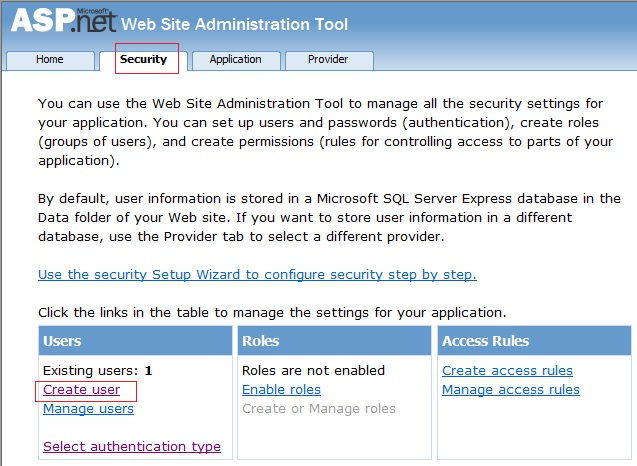 Go to Central Administration -> Application Management -> Select ‘Manage Web Application’ link present under ‘Web Applications’ section. Click on ‘New’ option in the ribbon. 1. 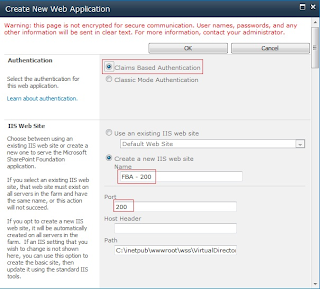 See the below image for ‘Authentication’ and ‘IIS Web Site’ section. 3. 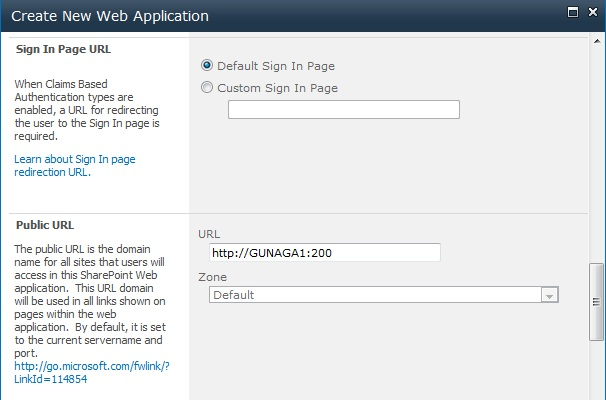 See the below image for configuring ‘Sign In Page URL’ and ‘Public URL’ section. 4. 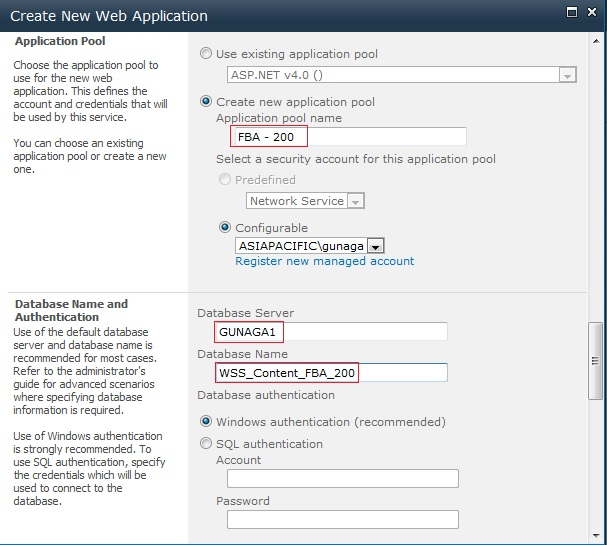 See the below image for configuring ‘Application Pool’ and ‘Database Name and Authentication’ section. 5. 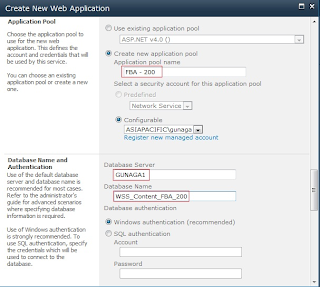 Create Site Collection after creating web application. 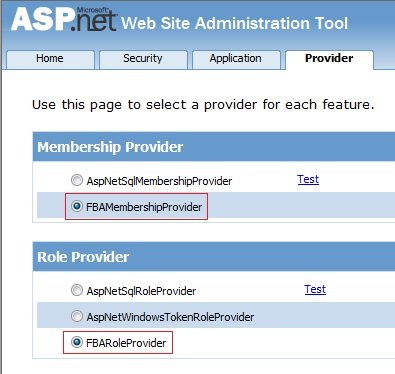 Open FBA web application web.config file and add the below entries. Go to Start => Run => inetmgr. Go to Sites => SharePoint - site => Right Click => Explore. 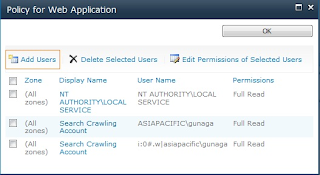 Open Central Administration web application web.config file and add the below entries. Go to Sites => SharePoint Central Adminstration=> Right Click => Explore. 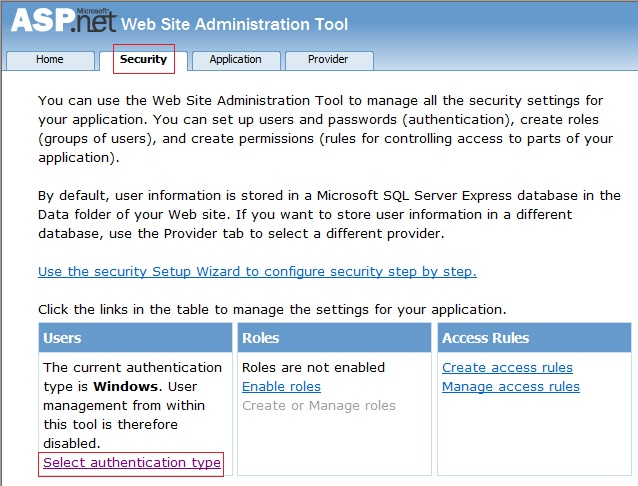 Go to Sites => SharePoint Web Services =>Security TokenServiceApplication => Right Click => Explore. 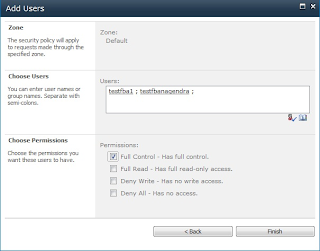 Follow the below steps to add user policy to the web application. a. 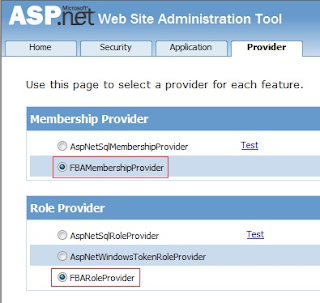 Go to Central Administration ->Manage Web Applications -> Select the FBA web application and click on ‘User Policy’ option in the ribbon. b. Click on ‘Add Users’ link and select ‘Default’ as the zone and click on ‘Next’ button. c. Type the user name created in ‘Create User’ section in the ‘Users’ textbox and click on people picker icon. 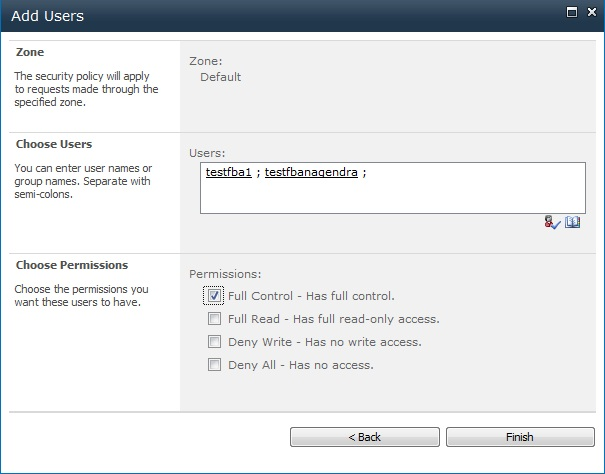 You should see the user name get underlined in the ‘Users’ textbox. 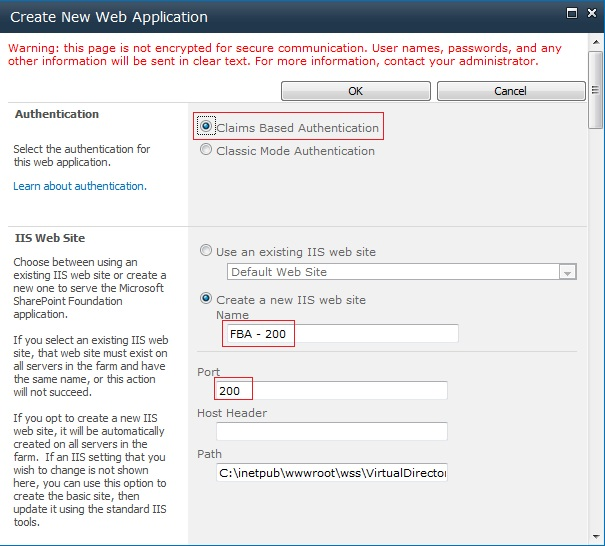 d. Follow the verification steps to test form based authentication. 1. 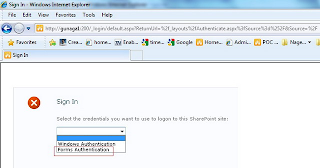 Go to FBA SharePoint site and select ‘Forms Authentication’ option. 2. 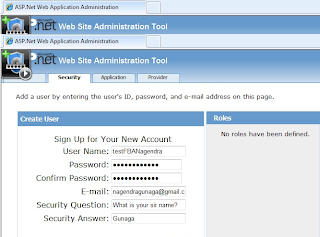 Enter User Name and Password and select ‘Sign In’ button. 3. You should be redirected to home page.